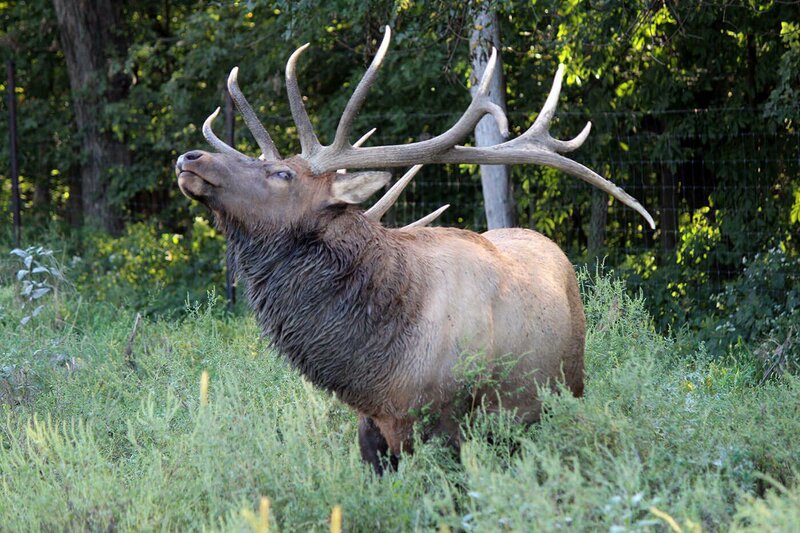 About 70 American Elk roam across the 50-acre Lee & Helene Sapp Family Elk Meadows, the first and last exhibit visitors encounter on their drive-thru adventure. Second largest of the deer family, exceeded only by moose, elk once roamed through Canada, the United States (except Florida) and northern Mexico. They were first called "wapiti," a Shawnee Indian term meaning "white rump." Male elk antlers can reach five feet across and five feet front to back. Each year, elk shed their antlers to grow another pair. Fun Fact: Did you know Elk are ruminants, meaning they have a four-chambered stomach.